Groove with the smooth moves and soulful harmonies of the Temptations in “The Temptations Motown Legends.” Among the wonderful Branson shows you can find, the newest is a tribute to one of motown and Rolling Stone’s Greatest Artists of All Times is the place to be for great motown hits and includes other great legends like The Four Tops, The Chi-Lites and The Delfonics and you’ll fall in love with the music all over again. The cool dance moves, their signature style and unmistakable suits and vocals, defined soul and R&B in the 60’s and 70’s with My Girl, Just My Imagination, Papa Was A Rollin’ Stone, Ain’t Too Proud To Beg, I Wish It Would Rain, Cloud Nine, and Treat Her Like A Lady. 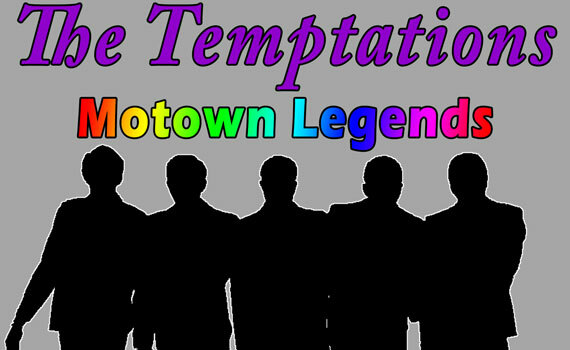 This epic tribute to The Temptations, and so many other great Motown favorites, will have you dancing in your seat. Prices do not include tax. Teen is Ages 13-19. Child is Ages 2-12. Family pass is for 2 adults and up to 2 children ages 2-12.